Blake joined Watsi on March 12th, 2013. 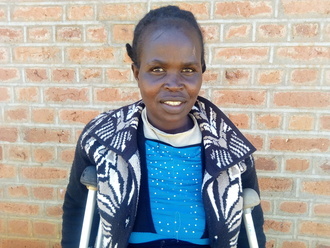 Three years ago, Blake became the 1699th member to automatically support a new Watsi patient every month. Since then, 3,378 more people have become monthly donors! Blake's most recent donation supported Mu, a woman from Burma, to fund gallbladder surgery. Blake has funded healthcare for 35 patients in 10 countries. Jackson is a farmer supporting a large family from Malawi. He has ten children and 28 grandchildren, and he works to feed his family. He enjoys resting in his free time after working very hard on the farm. For two months, Jackson has been experiencing urinary difficulty. These symptoms are caused by an enlarged prostate, a condition called benign prostatic hyperplasia. He needs to undergo a prostate resection surgery, a procedure in which surgeons will remove part of the enlarged gland. Our medical partner, World Altering Medicine, is requesting $733 to fund Jackson's surgery. 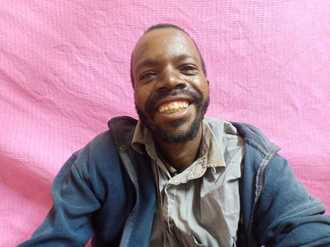 On October 4, he will undergo prostate surgery at Nkhoma Hospital, our medical partner's care center. The requested money pays for supplies, medications, and two weeks of hospital stay. He says, "This is a very good program because I believe I will be helped!" Aahil is a baby from Tanzania. His mother is a primary school teacher, and she supports the family, as Aahil’s father does not have a job at the moment. Aahil has clubfoot of his right foot. Clubfoot is a condition in which the foot is twisted out of shape. This causes difficulty walking and even wearing shoes. Fortunately, Aahil traveled to visit our medical partner's care center, AIC Cure International Hospital. There, surgeons will perform clubfoot repair surgery on June 25. Our medical partner, African Mission Healthcare Foundation, is requesting $890 to fund Aahil's clubfoot repair. 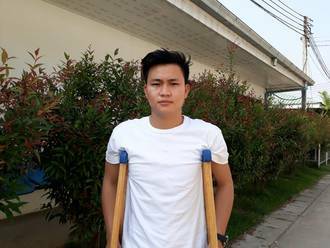 After treatment, he will be able to walk easily as he grows. Aahil’s mother says, “Please help my son get treatment for his leg. We wish we could afford the treatment but we can’t. We will always be thankful if we get the help." 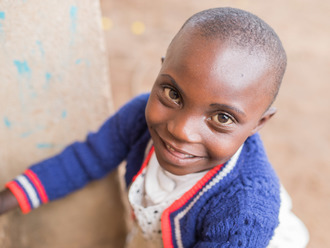 Elias is a happy and active child from Tanzania. He has not started school yet. He loves playing with other kids. Elias lives with his parents and his older brothers and sisters. The family lives in a rented house in eastern zone of Tanzania. Since birth, Elias has had an inguinal hernia. The hernia causes him pain and discomfort and may lead to tissue damage. Fortunately, on April 11, he will undergo hernia repair surgery at our medical partner's care center. Our medical partner, African Mission Healthcare Foundation, is requesting $539 to fund Elias's surgery. Once completed, this procedure will hopefully allow him to live more comfortably. “I am hoping that Elias will receive treatment and will grow well. God bless you all. I will never be able to repay this kindness,” Elias’s father says.